The Life I Live festival is an annually festival on the night before the kings birthday. Basically everybody gets pissed because the next day is a day off. But the Life I Live festival is definitely not only about beer, the beading hart of the festival is music, new and upcoming music! Life I Live is a festival where the atmosphere is enjoyable and the quality is high, a Mecca for culture – conscious music lovers from all over the world, who can enjoy a programme that is as varied as it is exciting. 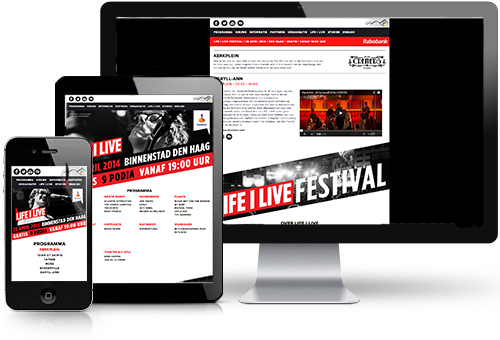 StudioYumi collaborated with Dayman Media to develop the Life I Live website (within 3 weeks!!!) after Robert Muda (Spacebar) finished the one page design. The CMS we used is wordpress with a custom build theme and a back end everybody will understand. Mobile is not the future anymore, is it now!. 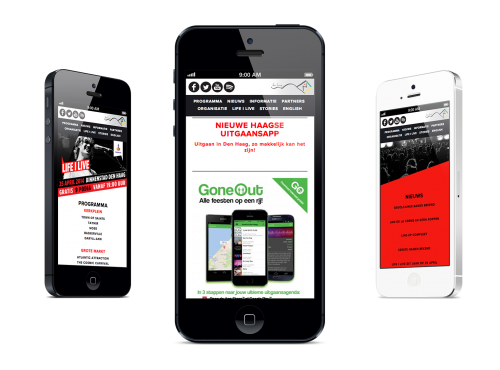 2013 only 7% of the visitors where mobile vistitors. In only one year the number has grown to over 30%. We are heading to the post PC time so make sure you company is ready for the mobile ages! to share it with the world so we can grow!